The University has been a clandestine organization since the days of the OSS. The University and its agents have always lived in the shadows; using its vast intelligence resources to help defeat the Nazis, end the Cold War and strike back at terrorists all over the globe. They have been at the forefront of global espionage for decades. Entrusted with running The University, James Hicks is one of the most powerful--and secretive--men alive. But when Hick's brilliant protege is turned by a terrorist group that has alarmingly already begun operating on U.S. soil, Hicks finds himself in a race against time to find out just how the agent has been turned and why. He must use The University's covert global network to uncover a deadly biological plot that threatens to unleash a new era of chaos and anarchy not only on the United States, but on the entire western world. 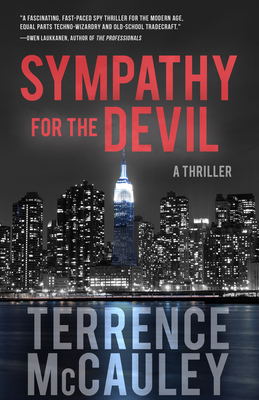 Terrence P. McCauley is an award-winning crime writer living in New York City. In 2014, he won the New Pulp Award for Best Author and Best Short Story for, A Bullet's All it Takes. His short stories have been featured in Thuglit, Shotgun Honey, Atomic Noir, and Matt Hilton's Action: Pulse Pounding Tales Vol. 1 & 2. He recently compiled Grand Central Noir, an anthology where all proceeds go directly to God's Love We Deliver, a nonprofit organization in New York City.